Monstroid theme by TemplateMonster is the best solution for all the bloggers and developers looking for a multi-purpose theme. You’ll be able to build a superb looking blog or an online store easily by making use of Monstroid theme. Priced at $79, this new theme by TemplateMonster is gaining popularity and it works on Cherry Framework 4.0. One can easily install the theme and make the blog or online store function in the best way. This Monstroid theme review shall give you a good idea that why most of the entrepreneurs are deciding to go for this multi-purpose theme. For installing Monstroid theme, you’ll just need the Monstroid installation wizard. You’ll be able to install the universal Monstroid theme as well as the child themes easily with one click using this plugin. Once you’ll paste the Monstroid theme’s license key in the box which you’ll be see after installing the installation wizard, you’ll be able to make use of the theme easily. You won’t have to waste time in customizing the Monstroid theme. It comes with 15 child themes which you’ll be able to use for your new website. These readymade child themes provided with Monstroid theme are very impressive. TemplateMonster has even provided 145 pre-designed pages with Monstroid theme and these pages come with different variations, layout as well as different elements. This feature of Monstroid theme is the best one for those who want to make their blog look different on different days. Skin Switcher will allow you to bring a change by making the colors become light or dark. There are 3 options available for changing the type of skin used on the blog. These 3 options are flat, minimal and dark. If you want your blog to look very attractive, then the dark skin option shall be the best one for you. Not only the universal Monstroid theme, but also the child themes provided with Monstroid theme are WooCommerce ready. Converting your blog or website will get easier for you because of this feature. Variety of ready-made product pages are provided with Monstroid theme and you’ll be easily able to customize the Monstroid theme. There will be no need to look for any other theme as this multi-purpose theme comes with different style options. The 4 style options provided with Monstroid theme are Grid, Flat, Masonry Flat, Masonry. Choose the style option according to your requirement so that you’ll be able to make your website powered with Monstroid theme look the perfect one. There is a very special feature provided with Monstroid theme which is powered with Cherry Framework 4.0. There are various different options available and the best one is of taking backup. You can take backup and restore your website any time. It will make you do customization of your website powered with Monstroid theme easily without any tension. Monstroid theme comes with some special features which you’ll be able to use for making your site look very attractive and a perfect one. Here are some of these unique features which one gets with Monstroid theme. Static Area Builder – Make use of the drag and drop interface for making your new website look perfect. Modifying the header and footer area becomes easier by making use of this builder. 100+ Shortcodes – This Monstroid theme comes with 100+ shortcodes which will allow you to create useful tabs, buttons, sliders etc for your website easily. You may not like to waste your time in looking for images for your new website. With Monstroid theme, you get attractive licensed images which you’ll be able to use without any tension on your website. Some of the best plugins are provided for free with Monstroid. You won’t have to look for premium plugins as these plugins are going to be very useful for you. MotoPress Slider is one of the plugins provided with Monstroid which will allow you to make a slider or gallery for any page of your website. Cherry Portfolio and Cherry Charts are the plugins useful for making portfolios and charts respectively. YITH WooCommerce Wishlist plugin is also provided with Monstroid theme and it will allow your online store visitors to make their own wishlist. At price $79, Monstroid theme with multiple features, free plugins and other amazing options is going to soon become the most popular theme. It is just launched and that’s why you can expect that many more amazing functions will be added for making Monstroid theme become more popular worldwide. Do you think that Monstroid is the best multi-purpose theme for all type of blogs and online stores? 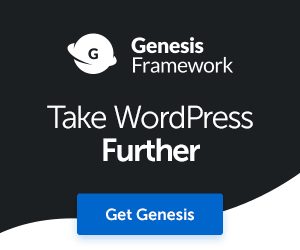 Genesis Theme Review: Why You Should Buy Genesis Theme?